The government has issued new Treasury Bills (TBs) into the market to finance its activities although it insists that the move was just to test the market. It is also currently involved in negotiations with market players with a view to roll over TBs worth $2.2bn maturing this year due to limited financial resources. 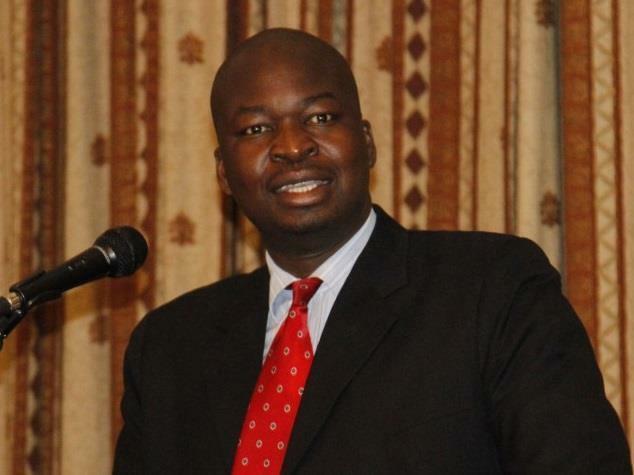 Treasury permanent secretary George Guvamatanga told Business Times that the government was “testing the market”. This comes after money supply for December 2018, increased by over $200 million or 2.24% to $10 bn from $9.79 bn in November of the same year. The issuance of the new TBs also comes after Finance Minister Prof Mthuli Ncube announced that the government would limit the issuance of TBs to ensure macro-economic stability because the commercial paper had become the major source of economic vulnerabilities showing through the increase in money supply. Discontinuing the issuance of TBs, Ncube said, would save taxpayers money. In stable economies, TBs are considered to be one of the safest and go-to investment destinations because they are generally considered risk free and liquid, due to their backing by governments. Well-placed sources at the Ministry of Finance and Economic Development who preferred anonymity told Business Times that the government was in negotiations to lengthen the tenure of over $2.2bn TB stock that matures this year. Of the total $9 bn deposits reported in March, $3bn were in TBs, according to Guvamatanga. “The process to restructure or rollover the TBs that mature this year has begun and new tenures are being put in place,” one source at the Ministry of Finance and Economic Development told Business Times. Guvamatanga confirmed that the government was engaging the market. He, however, said the government had paid $414m for TBs that had matured. Recently, Finance Minister Ncube also hinted that the government could not make payments on maturing securities to investors, instead the government would “engage market players” to restructure the tenure of TBs. Ncube said the restructuring was meant to control money supply growth, inflation, and both the fiscal and current account deficits. Over the past few years, local banks have scrambled for government securities and were leveraging on TBs as a way of income generation as well as increasing its revenue streams, despite fears in the market that the government may default on maturity. Between 2012 and 2016, the government issued TBs worth $2.1bn. The uptake rose sharply to about $7.6bn last year. Banks were the biggest takers, piling billions of dollars onto their books in TBs to meet regulations that compel them to have about 30% of their assets in liquid assets. In June last year, a total of $4bn TBs were taken up by the country’s financial institutions. CBZ Holdings, the country’s biggest financial institution by deposits and assets, accounted for the bulk of the TBs, which is classified as a liquid asset. ZAMCO has bought NPLs worth $1bn, a move which reduced their impairment by banks. However, the impairment may re-materialise due to the TBs rollover by the government. “This is forced rollover, effectively meaning the government has defaulted, something which also changes the (TBs) yield curve and the risk profile,” one banker who refused to be named told Business Times this week. Others raised disquiet on the rate and currency to be paid when the government eventually pays.